A floral dress has been a wardrobe staple for decades now but this time opt for deeper hues and go easy on accessories to create a perfect ensemble. Make heads turn with a low neckline and a high slit. Pastel Floral prints are a winning combination and there’s no better way to bring the combo to life than with a floral skirt. Team it up with a subtle solid top and heels to keep the attention at the skirt. Nothing can beat the combination of comfort and style! 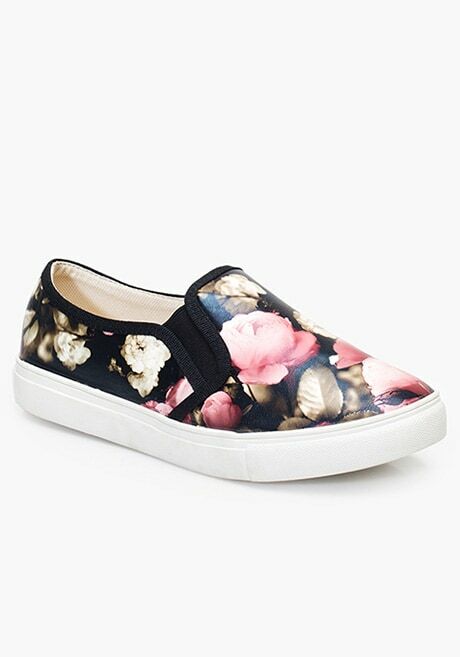 Upgrade your casual look by wearing these floral slip-ons and take your fashion game a notch higher this season! Ditch the ditsy print and bring blooms to life in 3D with your handbag! 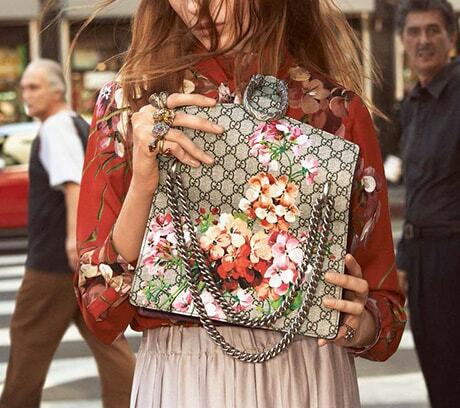 Add a touch of femininity and elegance to your outfit with a vintage inspired floral bag.